Today’s Education in the media blog focuses on what the department has announced it will do to help schools save money on supply teacher costs, and looks at the number of children eligible for free school meals. Yesterday, Sunday 3 June, the department announced a crackdown on 'excessive' teacher recruitment costs. The measures were widely covered in print and broadcast, with Minister Gibb appearing on Sky’s Ridge on Sunday and coverage by BBC online, Schools Week, TES, Sunday Express, Telegraph, Mail on Sunday, Sunday Times, Sunday Mirror, Sun on Sunday, and BBC Breakfast. The launch of a free website to advertise vacancies, which currently costs schools up to £75 million a year. A new nationwide deal for headteachers from September 2018 – developed with Crown Commercial Service – providing them with a list of supply agencies that do not charge fees when making supply staff permanent after 12 weeks. The free website announced by the department will include part-time roles and job shares to help keep experienced teachers working in the classroom and make schools attractive workplaces. As well as this, preferred suppliers will be required to set out how much they are charging on top of the staff wages for supply teachers, helping schools to avoid excessive fees, and in turn helping to reduce the costs schools face from recruiting supply teachers. This announcement is the latest example of action taken by the department to help schools make sure that resources can be targeted at the frontline, and to help schools deliver the best value for money possible. Great schools are made by great teachers, so I want to reduce teacher workload to make it a more fulfilling profession and help schools bear down on costs so they can invest more on their frontline. Every pound that’s spent on excessive agency fees, or on advertising jobs, is a pound that I want to help schools spend on what really matters: making sure every child, whatever their background, is inspired to learn and to reach their potential. We have the most talented generation of teachers yet, and there are record numbers working in our schools. 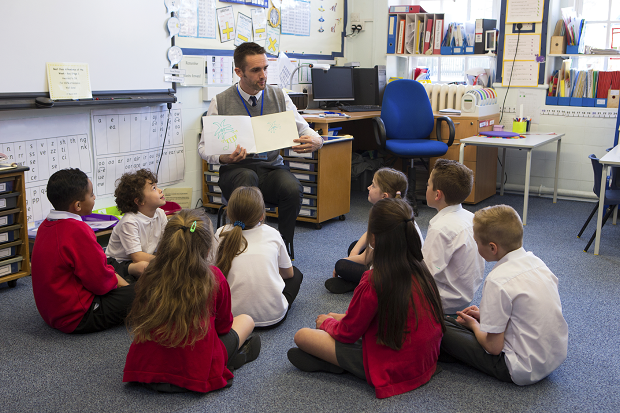 These measures will help us to build on this, making it easier for headteachers to recruit the staff they need and ensuring teaching continues to be an attractive, rewarding profession. On Sunday 3 June, the GMB union made an announcement – based on a Freedom of Information response from the department – that 2.6 million children are set to lose out on free school meals by 2022. The department is clear that the figures used by the GMB make a comparison to a hypothetical scenario where all children from households receiving Universal Credit would receive free school meals. We were always clear this was never our intention, and would result in around half of all pupils becoming eligible - many of which would be children from middle income households with some earning in excess of £40,000 annually. These are not the disadvantaged households we intend to receive free school meals, and were not eligible in the previous system. In fact, under the new regulations, which came into force in April, 50,000 more children will benefit from free school meals by 2022. The announcement was covered by the Independent and the Daily Mirror. It's right that we continue to support the most disadvantaged children. Contrary to misleading statements, every child who currently receives a free school meal will continue to do so and as we have repeatedly made clear our data – which is publicly available - clearly shows that around 50,000 more children will benefit from free school meals by 2022.